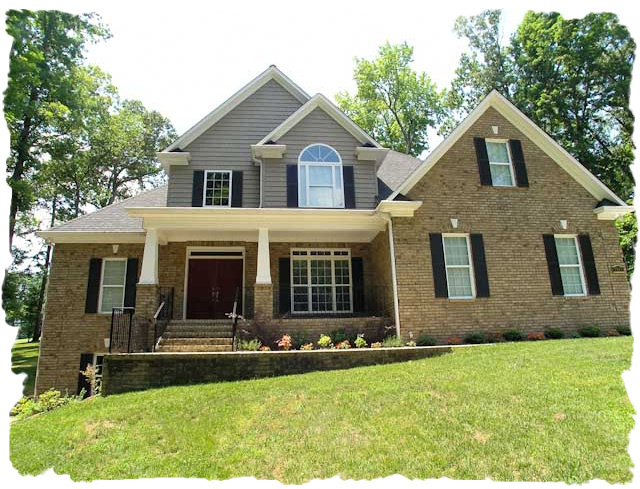 Dynamic custom home in desired Treetops of Cowans Ford Community. Unbelievable finishes, extra details & stunning bonus room over 3 car garage. Truly an open plan to maximize fun with family & friends. Owners’s suite & 2nd bedroom or home office on main level. Exceptional kitchen with oversized island, granite tops, upscale, stainless appliances & opens to gathering room. Beautiful hardwood floors, ceiling detail, & crown molding throughout main level. Just a work of quality & beauty. Stanley address but in Denver area of Lincoln County. Close to Cowans Ford Country Club & Golf Course, lake access, schools, shopping, upscale shopping, restaurants & major roads. Take a closer look today! It’s all about the location, location & location. Living in River Run means having the best of all worlds. You are close to Davidson, Cornelius, Huntersville and Concord. Plus, you have access to excellent schools, wooded lots, wide sidewalks, tree-lined neighborhood & the beautiful Lake Norman is just around the corner. River Run offers a wide range of actives for all ages such as the 18 hole golf course, swim club, fitness center, playground, walking trails & an excellent Tennis club. For the golf enthusiast, you will fall in love with the challenging River Run Championship Golf Course. The course was designed by master course architect Robert Walker and features 394 acres of rolling hills & scenic views. After testing out the course, relax in the River Run clubhouse. The clubhouse overlooks a peaceful waterfall on the 18th fairway and was designed around Thomas Jefferson’s home “Monticello”. The clubhouse boasts a stunning rotunda Dining Room, perfect for elegant dinners or celebrations. River Run also offers residents enjoyment of the Tennis, Swim and Fitness Center, which includes nine competition Har-Tru courts, three competition hard surface courts and four indoor courts. The facility houses a Fitness Center, snack bar and qualified child care to allow parents to participate in club-related activities. If relaxing poolside sounds more enticing, than gather up your sun screen, towels & pool toys. River Run has two community pools for your delight on those hot summer days. One features a lazy river and waterslide complex that was added in 2007. In addition to the community’s pools, you can also find a playground and picnic area. Summer camps and instruction lessons in tennis, golf and swimming are available to residents as well. Lake Wylie ________________________________________________________________________________________ First created in 1904, Lake Wylie is the oldest lake on the Catawba and the first power-generating lake along the river. It’s named after Dr. W. Gil Wylie who established the Catawba Power Company, the predecessor of Duke Power. In 1924, the Catawba Hydro Station near Fort Mill, S.C., was rebuilt, increasing the area of the lake to 13,443 acres and 325 miles of shoreline. Southwest of Charlotte, Lake Wylie spans the N.C./S.C. border. With many creeks that feed into it, the lake is hailed for its excellent fishing opportunities. In fact, the lake was chosen to host the Bassmaster Classic in 2004. McDowell Park, a 1,108-acre nature preserve along the shores of Lake Wylie, houses a nature center that features rare animals and plants. Its campground offers sites equipped with a grill, water and electricity as well as primitive sites. Also part of McDowell Park, Copperhead Island offers its own boat launch., fishing pier and primitive camping site. The Charlotte region has an opportunity around every corner for the recreational athlete. There are more than 20 area YMCAs that offer everything from swimming, weight training and yoga classes to youth and adult leagues for basketball, baseball and soccer. In addition, Ray’s Splash Planet is an indoor waterpark in Uptown thats drawing families for year-round fun. If you like adventure, the area boasts a host of beautiful parks and lakes. Whether you’re a duffer, hiker, fisher or swimmer, you’ll find a variety of outlets for your activity. There are, literally, hundreds of public parks. Latta Plantation Nature Preserve is one of the largest. The 1,343-acre preserve on the wooded banks of Mountain Island Lake includes an equestrian center, 16 miles of hiking and riding trails, fishing and picnic shelters. Its also home to the Carolina Raptor Center, a rehabilitation facility for injured birds of prey. There are several other nature preserves, such as 1,108-acre McDowell Nature Preserve on Lake Wylie and 727-acre Reedy Creek Park and Nature Preserve in northeast Charlotte. Each county in the region has a variety of parks in varying sizes. Many of the larger parks have lakes or ponds for fishing, but be prepared to abide by state fishing regulations. There are also countless ball fields available for public use. Check with the county park and recreation department if you’d like to rent a field and picnic shelter for your league tournament or family reunion. The area also boasts a number of state parks. Crowders Mountain State Park, south of Gastonia, is a popular hiking and rock climbing spot. Lake Norman State Park in Iredell County provides access to Lake Norman, including a new swimming beach and mountain biking trails. Kings Mountain State Park in York County has 16 miles of hiking trails amid its 6,883 wooded acres, and nearby Kings Mountain National Military Park, the site of a Revolutionary War battle, adds another 4,000 acres. Charlotte is also known for its water recreational opportunities. The U.S. National Whitewater Center opens along the banks of the Catawba River in 2006. The park, which covers 300 acres, is modeled after the 2000 Olympic facility in Sydney, Australia, and will bring Olympic-caliber athletes from around the country here to train. The center also includes an artificial river with controllable rapids, an adventure center with climbing walls and ropes courses, more than 11 miles of hiking and biking trails and a 37-acre island for camping. The Charlotte region is home to three lakes, all of which are sources for hydroelectric power for Duke Energy Corp. There are more than 20 public boat launching areas on the three lakes and at least 25 marinas. Lake Norman, the largest manmade lake in North Carolina, has 520 miles of shoreline that touches four counties: Mecklenburg, Iredell, Lincoln and Catawba. The lake is packed on weekends from spring through fall with boaters, jet skiers, fishermen and water skiers. Mountain Island Lake, in northwest Mecklenburg, is the source for Charlotte’s drinking water. It’s also home to a waterfowl refuge, so keep your eyes open for some unusual creatures. Lake Wylie, on the border of York, Gaston and Mecklenburg counties, is smaller than Lake Norman with 325 miles of shoreline, but is equally popular with local residents. You can rent pontoon boats, hire a chartered boat or fish from a dock or bass boat. Lake Norman, Lake Wylie and Mountain Island Lake have restrictions regarding watercraft operation, so be sure to check with the respective marine commissions to learn the rules. Aside from water sports, perhaps the Charlotte region’s most popular recreational activity is golf. The Carolinas are home to some of the finest golf courses in the country, and Charlotte certainly has its share. In the last decade, there has been a boom in public-access course construction, creating much-needed alternatives for those who do not belong to the area’s private country clubs. For more than 60 years, the region has drawn some of the most respected names in golf course design, including Tom Jackson, Tom Fazio, Arnold Palmer, Raymond Floyd, Greg Norman and Jack Nicklaus. You don’t have to drive to Pinehurst to experience a Donald Ross course, either. Two little-known gems in the Charlotte regionMonroe Country Club and Mooresville Golf Clubfeature Donald Ross designs. And you can see the stars play in the Wachovia Championship at Quail Hollow Club in May. Charlotte area golf has something for everyone. There are several courses owned by the City of Charlotte and surrounding counties where you can play 18 holes very economically. If you prefer to feel as though youre playing at an exclusive club, you can play courses such as Ballantyne Resort, Birkdale or Highland Creek. When it opened a few years ago, Ballantyne was dubbed the best new public course in the state. Several public-access courses offer league play for men and women, as well as youth programs. There are also a number of excellent golf schools in the area, including the schools at Regent Park and Ballantyne Resort. Ballantyne Resort is home to the nationally known Dana Rader School of Golf; Rader is ranked by Golf Magazine as one of the Top 100 instructors in the country. The Peninsula Club boasts an 18-hole championship course designed by Rees Jones, one of the country’s leading golf course architects. The course offers a challenge to players of all skill levels. The classic layout blends into the natural terrain, sixteen holes feature lake views with many playing over or along the water. The Peninsula has hosted LPGA events, USGA events, and AJGA events. Golf amenities include a practice facility with multiple putting and chipping areas, a fully stocked golf pro shop and full service locker rooms. Click here for Peninsula Homes For Sale – Updated every hour!